Sarah Hanan was at work when the doctor phoned. She had been expecting the call. A day earlier, seven months pregnant with her first child, the 29-year-old was in a Minneapolis hospital for a routine scan. 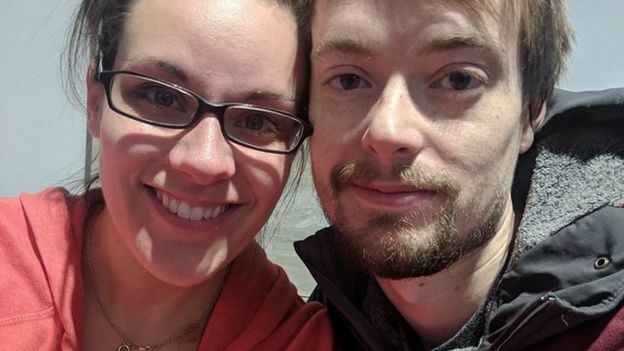 “About two weeks before, I was sitting on the couch with my husband, Ben, and noticed a harder spot on my breast,” she told the BBC. The couple did not think much of it, but added it to the “long list” of things to ask about at the scan. Before she knew what was happening, she was having an ultrasound. Then a biopsy. And now the phone was ringing. The news was not good. In 24 hours I’d gone from being excited about our baby to being diagnosed with cancer,” Sarah remembers. “We were getting really excited – it was only a couple of months away. “Then it felt like life came to a screeching halt. Ben recalls: “It was a whirlwind from that to chemotherapy starting. It was diagnosed on a Thursday and we saw an oncologist on the Monday. “It was pretty terrifying for a bit. You start to think, ‘I don’t want to be a single father. I don’t want to lose my wife and son’. “They did the test and saw it was a fast-developing aggressive cancer. 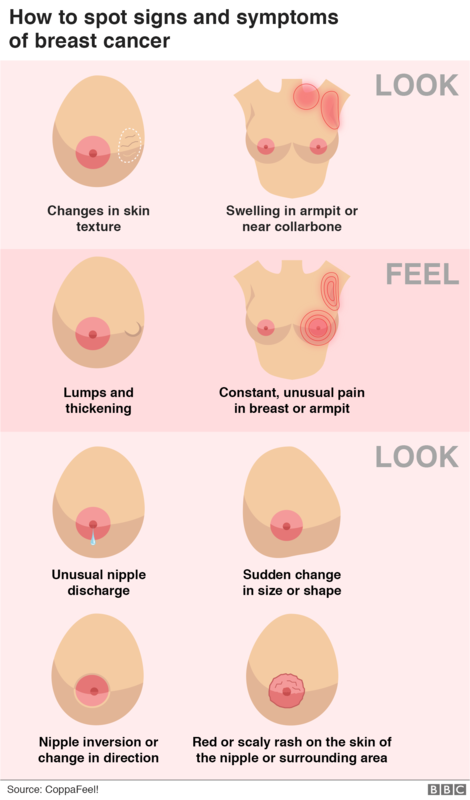 According to Macmillan Cancer Support, chemotherapy is the most common treatment given during pregnancy. 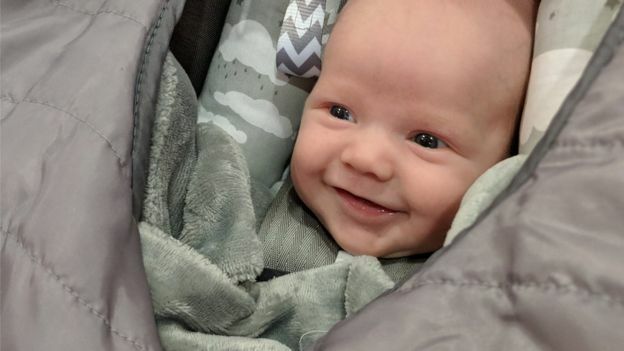 Research indicates that babies whose mothers have chemotherapy “don’t seem to have problems any different to babies whose mothers did not have chemotherapy”, the charity says. But that did not stop Sarah from worrying. “As a mum sitting there, it was devastating putting these drugs into me. I couldn’t even take ibuprofen but here I was having chemotherapy. By the time of her first treatment, Sarah’s tumour had already doubled in size. 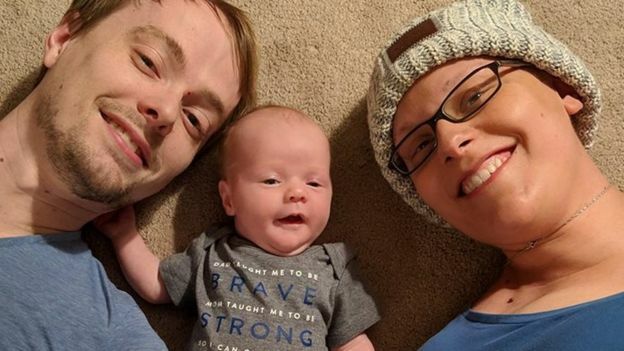 But despite chemotherapy side effects, including fatigue and nausea, the first trimester of her pregnancy had been much worse. “It was actually almost a piece of cake,” Sarah said. “My first three months of pregnancy I was puking all the time and I had to go to the emergency room because I couldn’t even keep fluids down. “With chemotherapy, it was just nausea and everything tasted of metal. Early on a Monday morning one January, Sarah gave birth to a healthy baby boy, Noah. “I only had to push for about 20 minutes,” Sarah said. “The nurses joked I should never tell other mothers that. “He came out and immediately started crying. Sarah’s treatment had stopped about three weeks before Noah was born. It resumed only a week after his birth. And the chemotherapy meant she could not breastfeed her son. “I had been really looking forward to that, to being able to take care of my son like that. Sarah will never breastfeed. In March, genetic testing revealed a mutation of the TP53 gene, which increases the risk of developing cancer. She is scheduled to have a double mastectomy in May. “As a new mom that’s been something which has been hard to accept,” Sarah said. The couple have been able to turn to their church, friends and family for help. Caring for a new baby is a big adjustment to make for any first-time parent. Doing so while undergoing intensive cancer treatment brings with it further challenges. “Chemo wipes me out,” Sarah said. “It’s impossible to do everything on our own. Luckily we have our church family to come in and help. And if it was not for Noah, Sarah might not have been diagnosed so quickly, because she would not have been under the care of a doctor. “Sarah getting pregnant saved her life. The clinic says she probably would have been dead in a year,” Ben said. Sarah’s tumour is shrinking, more quickly than average. But there is still a long road ahead. If live cancer cells are present when she has surgery, the next step is radiation therapy, then hormone therapy. She will have yearly scans for the rest of her life. “We’re running a marathon. The goal this year is to be cancer-free.